She became a writer at a time when writers were celebrities and their recklessness was admirable. 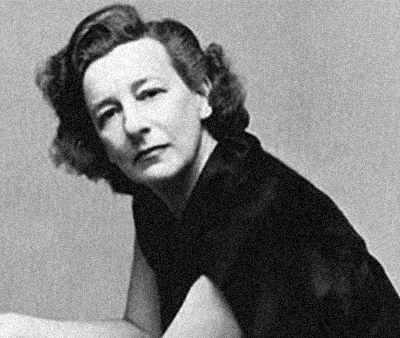 Like Fitzgerald, Hemingway, Faulkner, and Hammett, Lillian Hellman was a smoker, a drinker, a lover, and a fighter. Hellman maintained a social and political life as large and restless as her talent. While her plays were a constant challenge to injustice, her memoirs were personal accounts of the exciting and turbulent life behind the art. Born in New Orleans, Louisiana in 1905, Hellman saw her young life populated by eccentric and avaricious relatives, who later appeared only thinly disguised in her plays. Moving back and forth between New Orleans and New York as a child, Hellman witnessed the diverse cultures within her national borders. After graduating from high school, she briefly attended both Columbia University and New York University. Leaving school, she found a job at a publishing house, where she got her first glimpse of the bohemian lifestyle of the 1920s writer and artist. She married one of these young writers, Arthur Kober, and with him moved to Hollywood. By the early 1930s, Hellman had found a job as a reader for MGM. Though she found the work dull, it provided her the opportunity to meet a wider range of creative people and to become involved in the artistic and political scene of the times. An ardent leftist, Hellman organized her fellow readers into a union. It was through these political actions that she first met the writer Dashiell Hammett. By 1932 Hellman was already divorced, and her new relationship with Hammett was well under way. Though often rocky, Hellman and Hammett’s relationship remained close until Hammett’s death in 1961. At the prompting of Hammett, Hellman took her first leap into professional writing with a play about two teachers accused of being lesbians by a privileged student. Overwhelmed by the accusation, one teacher kills herself. “The Children’s Hour,” was a gripping emotional tale about the abuse of power and its effects. The play was an enormous hit on Broadway (running for more than seven hundred performances), and brought the young playwright instant recognition. She followed it soon after with “In Days To Come” (1936) and “The Little Foxes” (1939). “The Little Foxes” was a story about three siblings struggling for control over a family business. Primarily an indictment of capitalist motives, it was also a telling story of three individuals, and an investigation of their inner lives. This ability to blend strong politics with humane (though not sentimental) stories of individual struggles was one of Hellman’s great achievements. Throughout the 1940s and 1950s she continued to write plays and increase her political activism. Her anti-fascist works “Watch the Rhine” (1941) and “The Searching Wind” (1944) directly criticized America’s failures to address and fight Hitler and Mussolini in their early years. Blacklisted in the 1950s for her leftist activism, Hellman continued to write and to speak out against the injustices around her. By the early 1960s, however, Hellman started to move away from drama and concentrated on writing her memoirs. Excited over recent student activism, Hellman began teaching. Throughout the rest of her life she would teach at a number of colleges, including both Harvard and Yale. In 1969 Hellman published AN UNFINISHED WOMAN, the first of three memoirs that dealt with her social, political, and artistic life. Followed four years later by PENTIMENTO: A BOOK OF PORTRAITS and in 1976 by SCOUNDREL TIME, these books were a moving investigation of the life of a strong, successful woman — the life of a woman who stood against an unjust government and was able to maintain her dignity and artistic vision. Though criticized for inaccuracies, these books were influential not only for their depiction of an exceptional and exciting artistic time, but for their tone, which many associated with the beginnings of the feminist movement. 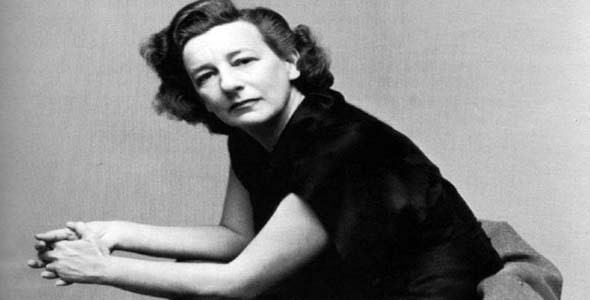 On June 30, 1984 Lillian Hellman died in Martha’s Vineyard, Massachusetts at the age of seventy-nine. Among the many honors she received were two New York Drama Critics Circle Awards, a Gold Medal from the Academy of Arts and Letters for Distinguished Achievement in the Theater, and a National Book Award for AN UNFINISHED WOMAN. As a teacher and scholar she was well respected, and her political involvement was integral in the fight against fascism at home and abroad. Lillian Hellman will be remembered not only as an activist, playwright, and memoirist, but as a woman who could overcome the hurdles of her time and succeed on her own terms.